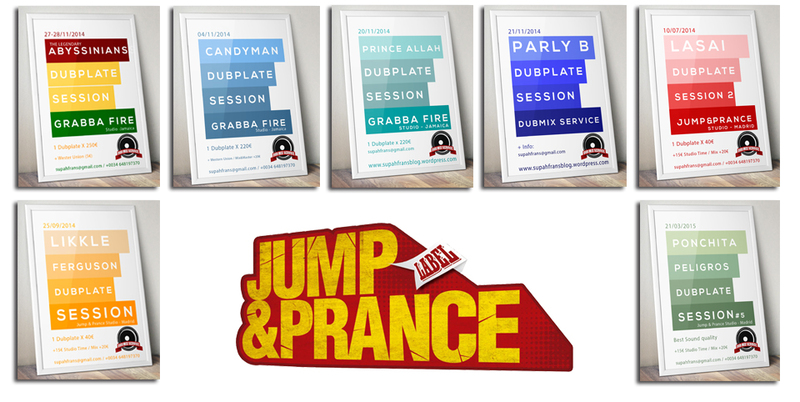 Welcome to Jump & Prance Label Dubplate servicie! Our Dubplate service are committed to the highest sound quality without using the annoying “split” files when you will record at Jump & Prance Studio. Our service only work with WAV files with highest professional audio quality. We will ensure, not only to record the best sound quality, we also will pay attention to lyrics and pronunciations so you get the best and cheapest Dubplate for your Soundsystem. You have to know that if you can’t choose a tune or a Riddim, we offer a full service and our dubplate specialist, Supah Frans, can help you to find the best option for you. We have a mix and master service too at Jump & Prance Studio. We recorded Dubplates for real big sound from all over Europe from Spain to Scotland, from France to Switzerland, from Germany to Uk, from Mexico to France… lot of sound support our serious Dubplate and recording service.